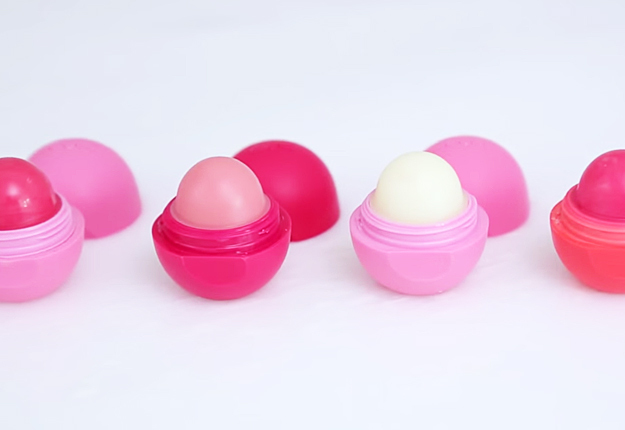 If you love natural DIY beauty products, you will adore these DIY lip balm recipes. They’re easy to make, natural, and smell delicious. 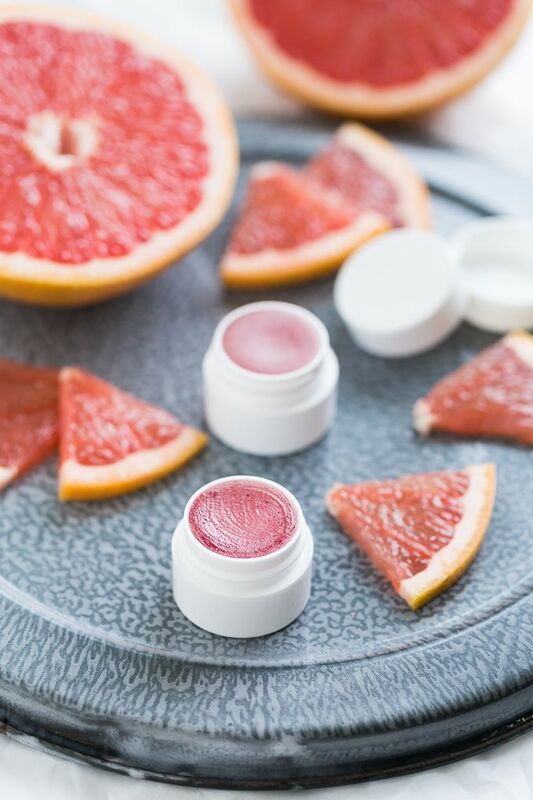 You’ll be able to pamper your lips with DIY natural lip balm and avoid the chemical ingredients found in most commercial lip balms and lip glosses. Every homemade lip balm suggestion is accompanied by a step by step tutorial on how to make lip balm with minimal expenses. Sweet almond oil. Moisturizes and rejuvenates the skin and dying cells, thus preventing chapped lips. Coconut oil. Helps repair and hydrate the skin and has antioxidant effects. Vitamin E. Repairs damaged tissue like chapped lips and protects the sensitive skin from free radicals. Beeswax. Creates a protective coating that works against free radicals, keeps the lip balm together, and helps it last longer on lips. Freeze-dried strawberries. Although these add a delicious aroma to the lip balm, these also contain Vitamin A, C, and antioxidants. Shea butter. Its high content of Vitamin A and E moisturize and soothe the sensitive skin on lips. Coconut oil. Moisturizes and replenishes the skin’s lipid layer, but also has antioxidant, antibacterial, and antifungal properties. Apricot oil. Has moisturizing properties thanks to its high gamma linoleic acid content and also contains vitamins A and E.
Honey. Natural humectant, pore cleaner, and conditioner for the skin. Cinnamon. Acts as a lip plumper by bringing blood to the surface of the skin, thus making them look fuller. Beeswax. To hold the balm together and protect the lips from free radicals and other damaging environmental factors. Note: If you are looking for a lip balm with plumping effects, we also recommend our collection of DIY lip plumper recipes. Shea butter. Moisturizes and soothes the delicate skin on lips. Mango butter. Highly moisturizing, able to heal chapped lips and protect against weather damage. Sweet almond oil. Rejuvenates skin and keeps them moisturized. Castor oil. Although it doesn’t add the greatest flavor in high concentrations, a little will go a long way with this highly potent moisturizer and nourishing oil. Other essential oils of your choice like citrus peel oil, coriander oil, jasmine, or chamomile oil. Lemon balm oil. Speeds up the healing process. Coconut oil. Antibacterial and antifungal properties and highly moisturizing. Tamanu oil. Not only moisturizes, also prevents cold sores and herpes outbreaks. Castor oil. Contains Vitamin E, minerals, proteins, and Omega 6 and 9 fatty acids, as well as ricinoleic acid which has plenty of benefits for the skin. Beeswax. Seals in moisture provided by the other ingredients and protects from harmful environmental factors. Shea butter. Soothes and moisturizes while also protecting from inflammation and bacterial infections with severely chapped lips. Tea tree oil. Natural antibacterial, antiviral, and antiseptic agent. Peppermint oil. Stimulates blood flow, thus helping the body fight infections faster and also plumping up the lips in the meantime. Beeswax. As mentioned before, beeswax creates a protective layer for the lips that locks moisture in and keeps free radicals and other damaging factors out. Coconut oil. Draws moisture from the air to replenish the moisture levels in the skin. Cocoa butter. Highly effective in fighting signs of aging, soothing burns, rashes, sores, and infections. Sweet almond oil. Highly moisturizing with rejuvenating effects. Maple syrup. Lowers inflammation, dryness, and blemishes and adds a delicious flavor to the whole mix. Coconut oil. Contains minerals and vitamins that replenish the lips’ moisture and soften the skin. Shea butter. Acts as a humectant and keeps moisture locked in. Chai tea bags. Chai contains Vitamins, manganese, potassium, calcium, iron, and other ingredients that fight premature aging. Added bonus: this is a DIY lip balm without beeswax! Beeswax. As mentioned a few times throughout the article, beeswax holds the whole mix together in the container and helps active substances in the lip balm lock into the skin. Shea butter. Adds natural oils and greases, as well as vitamin A and E, both good for the skin. Coconut oil. Highly moisturizing, fights fungi and bacteria growth, and seals moisture in. Sweet almond oil. Rejuvenates dying or dead skin cells. Grapefruit essential oil. Antiseptic and skin toner. If you ever thought of recreating that amazing orange creamsicle flavor with a homemade lip balm, follow this step-by-step guide on how to make lip balm with an incredible vanilla and orange flavor from DoTerra. This DIY beeswax lip balm has a sweet, fruity flavor and creamy consistency. Beeswax. Locks in moisture and enhances the consistency of this balm. Orange essential oil. Antiseptic and anti-inflammatory that also enhances collagen production,Vitamin C absorption, and blood flow. Vanilla extract. Potent anti-oxidant which also adds an enchanting sweet aroma. Cocoa butter. Generous source of fatty acids which naturally heals dry and sensitive skin. Shea butter. Treats blemishes, wounds, dry skin, and frost bite. Coconut oil. Draws moisture into the skin and locks it in. We know you have been waiting for a DIY peppermint lip balm recipe, brought to you by Jenny Park at SpoonForkBacon. The peppermint essential oil can be traded for lavender essential oil, depending on your preferences. Both flavored lip balms are glossy, obviously vegan and make cool yet useful gifts for your loved ones. Beeswax. 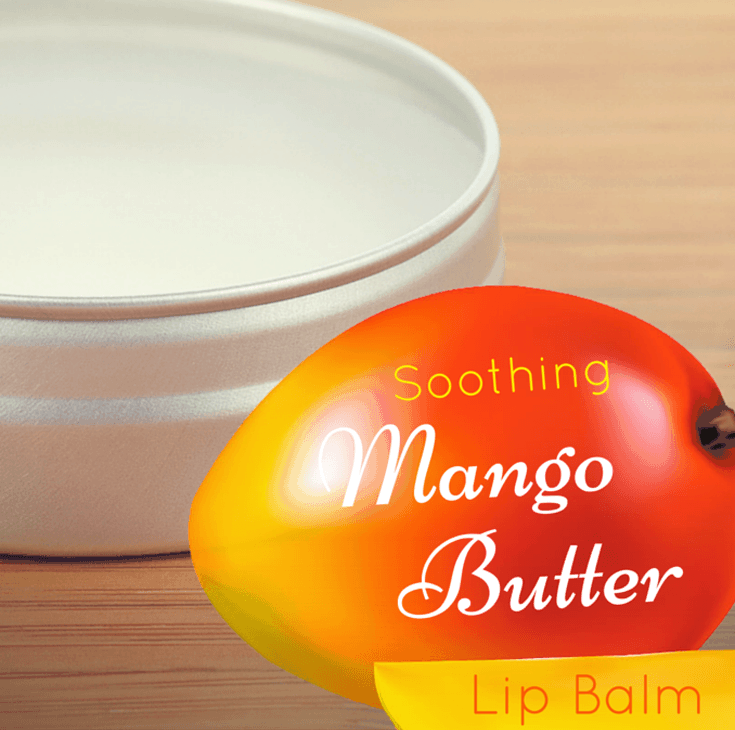 Calms and soothes while locking in moisture and other active ingredients of this lips balm. Avocado oil. Contains antioxidants, essential fatty acids, vitamins, and minerals that moisturize skin and protect from harmful environmental factors. Sweetened almond oil. As mentioned before, this natural oil is an effective moisturizer for skin. Shea butter. Protects the skin from cold and/or dry weather. Coconut oil. Famous for its moisturizing and fast-absorbing nature. Other essential oils of your choice. 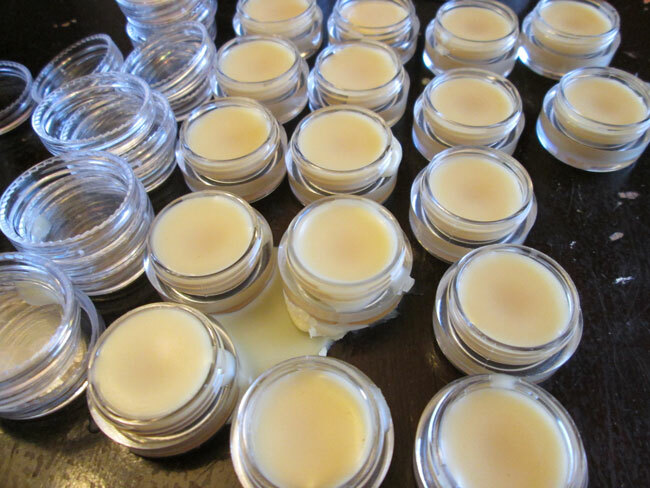 Customize the flavor of this DIY lip balm with your favorite essential oil(s). Coconut oil. Draws moisture from the air and locks it in the skin. Mango butter. Nurtures and heals chapped lips. Cocoa butter. Great source of fatty acids, effective in healing and moisturizing dry and sensitive skin. Beeswax. 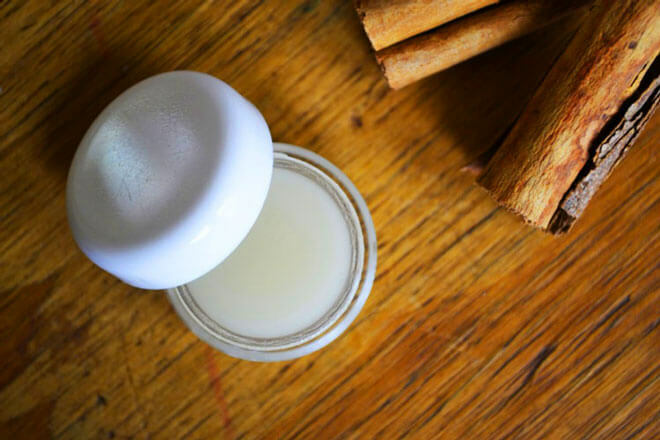 Keeps the thickness and texture of this DIY lip balm under control. Vanilla extract. Adds an enchanting aroma to the whole mix. Other essential oils of your choice. 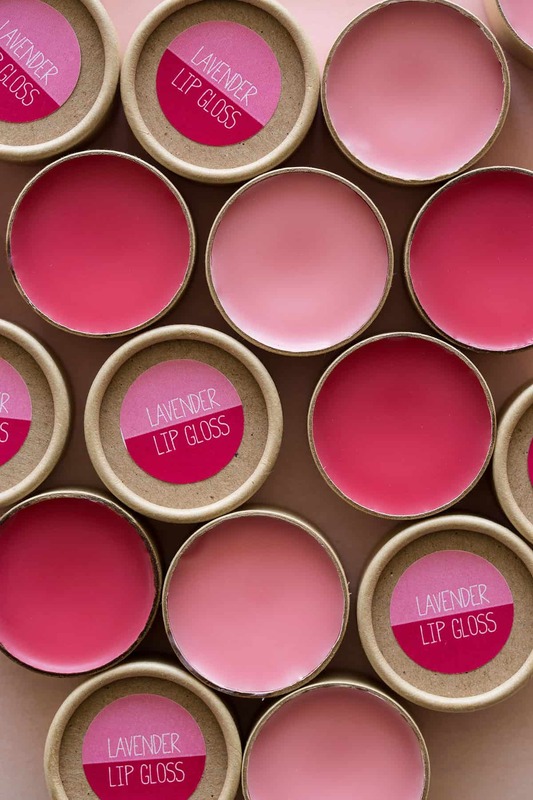 You can further customize this lip balm with your favorite scents. Green tea. Fights the signs of aging and weather damage. Coconut oil. Highly effective moisturizer that repairs flaking or dry skin. Beeswax. Controls the thickness of the lip balm and protects the lips from weather damage. Olive oil. Potent antioxidant that also restores smoothness and fights sun damage. Beeswax. Adds to the thickness of the skin and holds all the ingredients properly blended. Vitamin E. Blocks free radicals, has antioxidant properties, and promotes healing. Essential oils of your choice. Coconut oil. Highly moisturizing and repairing effects. Coconut oil. Moisturizes and soothes damaged skin. Lemon essential oil. Just a few drops will go a log way. Raspberry gelatin mix or organic freeze-dried raspberries if you want a 100% natural DIY lip balm. Sugar. This will enhance the taste of the lip balm and keep it together. Kool-Aid. Any flavor you like, but we recommend cherry for a natural tint. Water. Just enough to dissolve the sugar and Kool-Aid. Coconut oil. Provides the right texture and moisturizes the lips. Last but not least, we love to bring to your attention this sweet, subtle fragrance DIY shea butter lip balm recipe without beeswax. Made and tested by BeautyMunsta, this delicious lip balm is your go-to ally in the fight against chapped lips. The shea butter may have something to do with this lip balm’s superhero abilities. Rose water. great for restoring the pink hue of the lips and also adds an enchanting aroma to this DIY lip balm. Honey. Natural humectant that provides nutrients to the skin. Shea butter. Highly greasy to soothe chapped lips. 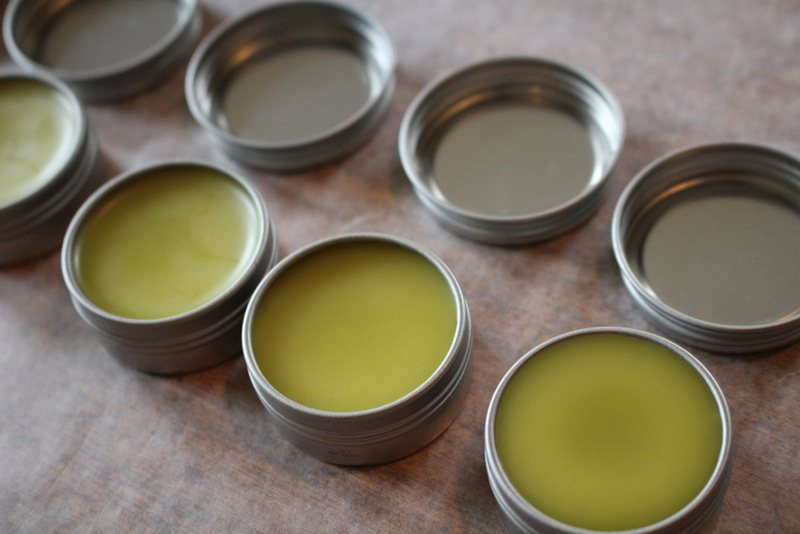 Making your own DIY lip balm is the best way to get the exact final product you’re after. Use organic ingredients and you won’t have to worry about the chemicals typically found in commercially distributed lip balms, lip tints or lip glosses. 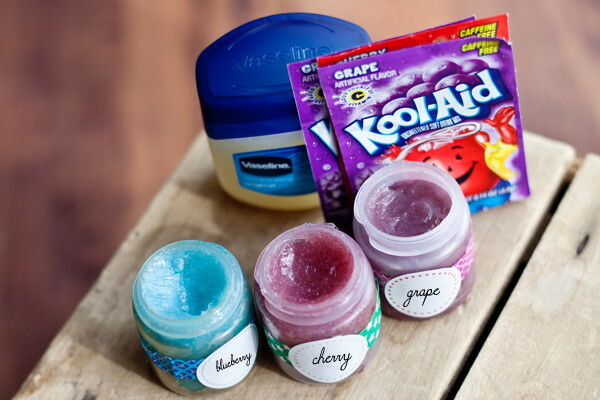 Now that you know how to make lip balm and what you need to gather for your favorite, you will not experience chapped lips anymore. Choose a DIY coconut oil lip balm and you will experience the healing properties of coconut oil or choose a DIY tinted lip balm recipe and you have a beauty and a lip care product for the price of one.